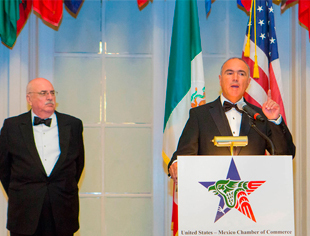 The United States-Mexico Chamber of Commerce (USMCOC) will be hosting its annual Conference and “Good Neighbor Awards” Gala from May 24-25, 2016 in Washington, D.C. 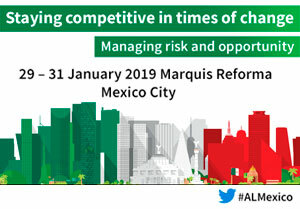 This year’s Conference will continue the Chamber’s reputation of providing our members with topical, in-depth reviews of issues affecting U.S.-Mexico business growth and development. Among our speakers and participants will be business and industry executives from both countries, along with key government officials. The Gala will continue the Chamber’s long standing tradition of honoring individuals from the U.S. and from Mexico, who have made outstanding contributions to the bilateral relation in the private and public sectors. •	Hon. Jeh C. Johnson, U.S. Secretary of the Homeland Security. •	Hon. Luis Videgaray Caso, Mexican Secretary of Finance and Public Credit. •	Verizon Communications, Inc. To receive the award on behalf of Verizon: Emilio Gonzalez Executive Director for Strategic Alliances. •	Softtek. To receive the award on behalf of Softtek: Marcos Jimenez CEO for Softtek USA. By attending this exciting and prestigious binational event, where you will have an exceptional opportunity to showcase your company. Additionally, participants will be presented with excellent opportunities to meet with government and corporate officials whose decisions have a significant impact on U.S.-Mexico business strategies.